1/9 Here Deddeh Howard recreates a campaign for Vivara modelled by supermodel Gisele Bundchen. 2/9 Here Deddeh Howard recreates a campaign for Victoria's Secret modelled by 'angel' Candice Swanepoel. 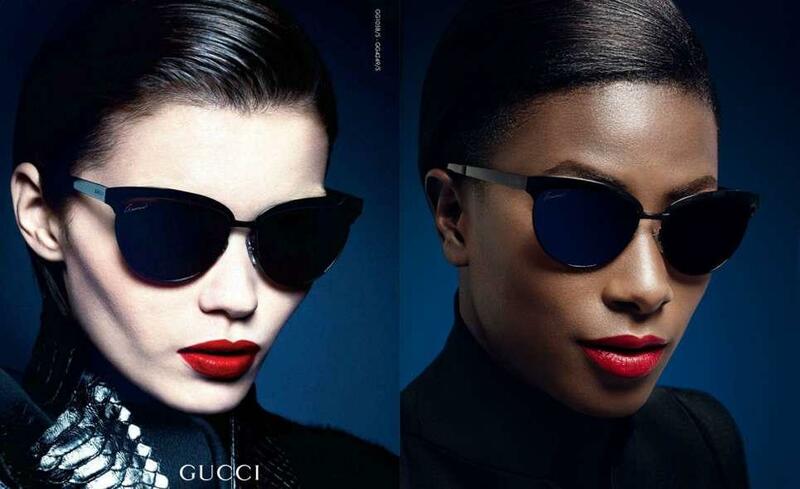 3/9 Here Deddeh Howard recreates a campaign for Gucci eyewear. 4/9 Here Deddeh Howard recreates a campaign for David Yurman modelled by supermodel Kate Moss. 5/9 Here Deddeh Howard recreates a campaign for Dolce & Gabbana eyewear. 6/9 Here Deddeh Howard recreates a campaign for Calvin Klein innerwear modelled by Kendall Jenner. 7/9 Here Deddeh Howard recreates a campaign for Guess modelled by Gigi Hadid. 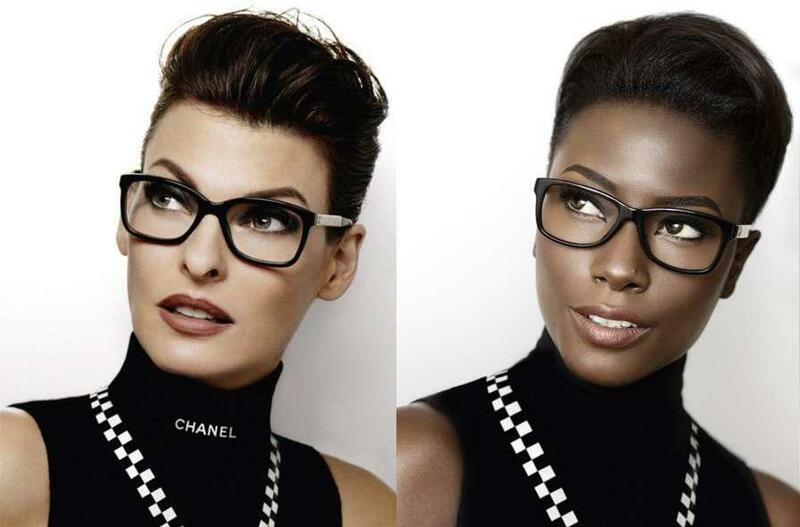 8/9 Here Deddeh Howard recreates a campaign for Chanel eyewear. 9/9 Here Deddeh Howard recreates a campaign for Louis Vuitton modelled by Michelle Williams. A model has challenged the fashion industry through a powerful photo series that calls the industry out on racial discrimination. Deddeh Howard is a 27-year-old model, medical student and fashion blogger who was raised in Liberia but is living in Los Angeles. She worked with her photographer boyfriend Raffael Dickreuter to recreate fashion campaigns of major luxury brands that feature the likes of Kendall Jenner, Gisele Bundchen, Gigi Hadid and Candice Swanepoel. Howard describes the photo series, which is called \'Black Mirror,\' as a call for more diversity in the fashion industry. She asks a very pertinent question through her work, "We live in a globalized world with nowadays many interracial couples producing mixed raced children. Why can\'t the fashion industry not embrace our diversity and give all of us more visibility?" Deddeh has personally experienced racial biases of the fashion industry towards white models. In her website, Secret Of DD, she mentions, "Not to long ago it happened to me that I would walk into various fashion model agencies and I would immediately be compared to that one or two black model that they had on the roster. Even though I was told by those agencies that I have an amazing look and wish they could represent me, they already have a black model. Besides having an abundance of white models. It seemed as if one or two black models on the roster are enough to represent us all. When you are told that, trust me, it feels bizarre." After watching the Victoria\'s Secret fashion show that aired last week, Deddeh felt that in the show too, black models are almost invisible. However, she did feel inspired seeing Jasmine Tookes wearing the most expensive bra at the Victoria\'s Secret fashion show. "We need more of those moments," she said. Howard and Dickreuter created exact doubles of the fashion campaigns - matching up every detail from the lighting to the styling to the location and props. "For this project I decided to re-shoot several of the inspiring and famous campaigns out there and try to show what they could look like with a black model," she said. "It was a big challenge to reverse engineer and re-shoot these images and get as close as possible to the original. Even though it was a big challenge it was important and necessary to do it." Alongside the side-by-side shot of Kendall Jenner\'s Calvin Klein ad, Howard wrote on Instagram: "What do you mean you already have 2 to 5 black models that looks like me? Did you say the same thing to the 50-100 white models you already have? If @kendalljenner can do it, so can me or any other race!! Here is my prof, so open your eyes and see that Fashion is not black or white! Life is not black or white. I\'m just like her. #blackmirror #blackmodelsmatter. Right guys?" And social media is rightly agreeing with her. Her posts have struck a chord with people, most of whom are showering her with plenty of praise. It\'s a simple idea but it seems that the fashion world still needs to learn.